The James Webb Space Telescope (JWST) is NASA's next generation flagship space telescope and is the successor of the Hubble Space telesocpe (HST). JWST will have a 6.5m deployable primary mirror which is almost three times larger than HST's primary mirror. This powerful telescope will observe primarily in near infra-red wavelength range and will have both imagers and spectrographs and will be an incredible tool to study of distant galaxies, including those seen at z > 10 when the first generations of stars lit up a dark Universe, and for cool objects such as forming stars and planetary systems. The current expected launch date is March, 2021 . 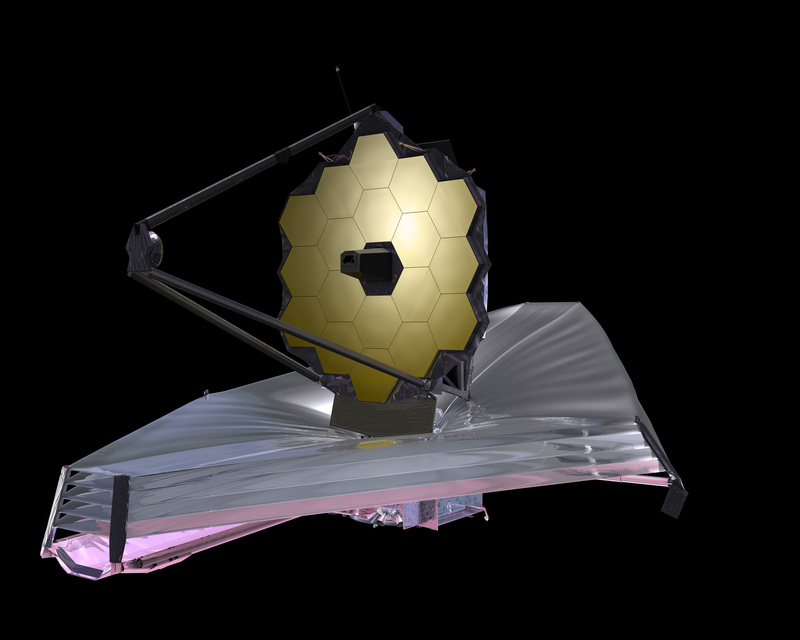 The image is an artist's impression of the JWST deployed at the L2 point 1.5 million km from Earth [Credit NASA]. I am a lead member of an international (ETH Zurich, MIT, NCSU) collaboration, that will study the fate of circumgalactic gas around galaxies at the epoch of reionization. We will carry out JWST/NIRCAM grism spectroscopy campaings in several key fields which contains high redshift quasars. Since last several years, we have been conducting multi-wavelength imaging and spectroscopy campaigns using both ground (Magellan FIRE/IMACS, Keck/MOSFIRE/HIRES, HST/ACS/WFC3, VLT/MUSE, ALMA). These observations combined with 110 hours of guranteed JWST spectroscopy (from JWST interdisciplinary scientist Simon Lilly, ETH Zurich) will create the most comprehensive survey of the CGM and the dawn of galaxy formation. I am also involved with several additional JWST programs. Students please contact me for more information.